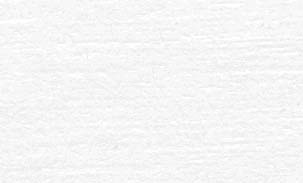 The Park and Fort ships were not two distinct types and were interchangeable. A number of vessels were launched with 'Fort' names, but were completed with 'Park' names and vice-versa. A number of 'Parks' were later transferred to the MOWT and renamed as 'Forts'. All of the 'Park' ships were run by the Park Steamship Company and were named after well-known national, provincial or municipal parks in Canada. The Company became a Canadian Government Crown Corporation in 1942 to own, manage and operate the ships allocated to it for the purposes of the war. As with the Forts' British managers, the appointed Canadian managers were responsible for the hiring of crew and officers as well as supplying the ships with fuel and supplies. 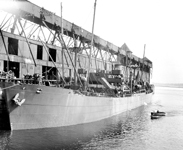 They had little control over the routing of the vessel, or the cargo as war materials took precedence. For a while a total of one hundred and fourteen 10,000t cargo ships came under the control of the Park Steamship Company and were of the same types as the 'Forts' i.e. the 'North Sands', 'Victory' and 'Canadian' types as well as thirteen 10,000t tankers. Other types included in the fleet (not listed on this site) were forty-two 4,700 t dry cargo carriers and six 3,600t tankers. Only two of the 10,000t 'Parks' were war losses. After the war the fleet was gradually disposed of and by the end of 1947 the entire fleet had been sold. 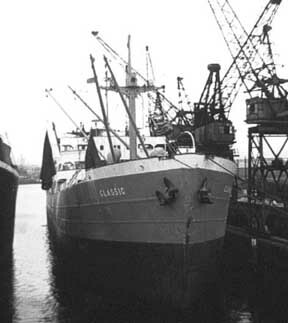 Classic (ex-Coronation Park) in Middlesbrough Dock, 17 August 1964.